℗ 2019 큐브 엔터테인먼트(CUBE ENTERTAINMENT),under license to Kakao M Corp.
Great first album for this duo! I really enjoyed all of the songs on this album. From the catchy song, I’m a Star to the touching Always Difficult Always Beautiful and the long awaited Domino, this album is full of amazing songs. 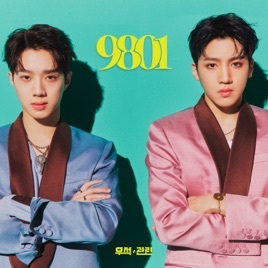 Wooseok and Kuanlin make a great team.